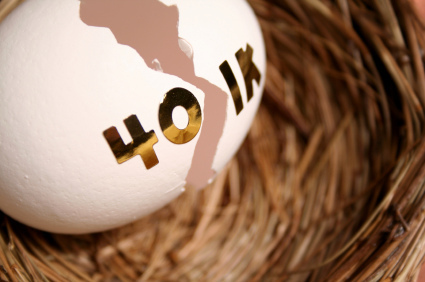 Do You Make These 4 Common 401k Mistakes? We all make mistakes – some of them are just more costly than others. When it comes to our retirement savings there’s a host of mistakes that could cost you. Because companies are shifting the responsibility of retirement on the employees, it’s vital to correct any of these mistakes as quickly as you can. Perhaps you’ve found yourself saying that before. Picking funds based on past performance is a losing proposition because past performance is no guarantee of future results. An all-star fund could turn into a dog for a variety of reasons. Don’t rely only on past performance to make your decisions. I didn’t know what to pick so I asked my co-worker what he did. Bob might be a great guy, but he could be a total goofball when it comes to investing. Sure, he talks a good game, but your needs and goals are different. Don’t base your investments on someone else. It’s OK to be aggressive, but using only one or two funds will typically increase your volatility and expose you to greater risk. You need to diversify the holdings. Diversification simply means spreading your money over various types of funds and asset classes (i.e. small, mid, and large sized stocks etc.). The reason you want to diversify is because we don’t know what will go up or down in any given year. You can take advantage of rising stars and also soften the blow on investments that are stinking it up. Check out MSN Money’s Asset Allocator tool, which is a good start if you are unsure what type of allocation to use to diversify your account. Really? Let me know when you find something like that because I’d like to use that too! You need to understand your risk profile and how that impacts your decision-making with your 401k funds. For guidance in this area, here are five questions to help determine your risk tolerance. Although the recession has led many companies to forego their 401k matching programs, there are still some who offer some sort of match. If a company is matching dollar for dollar up to – say five percent, it’s silly to only put in three. You’re leaving an additional two percent out there that could be matched. Pay attention to the details of your company’s matching program and by all means take what they are willing to give you!